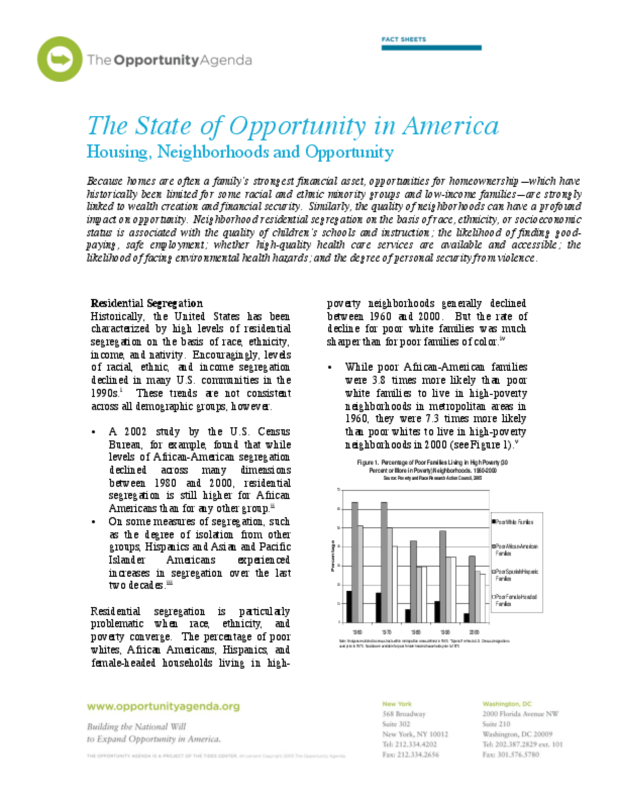 Opportunities for homeownership "which have historically been limited for some racial and ethnic minority groups and low-income families" are strongly linked to wealth creation and financial security. Similarly, the quality of neighborhoods can have a profound impact on opportunity. Get the facts on the state of housing in America.